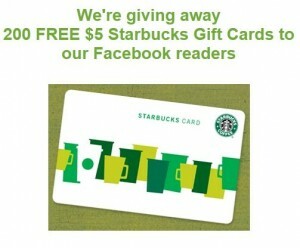 Go here to enter to win one of 200 $5 gift cards to Starbucks from UGiftIdeas.com! This giveaway ends October 2 at 11:59 pm, so enter now! *Thanks Who Said Nothing In Life Is Free?